The federal government has pledged $100 million in funding for upgrades at regional airports. The funds will be available from July 1 2019, with information on how to apply to be published later in 2019, Deputy Prime Minister and Minister for Infrastructure, Transport and Regional Development Michael McCormack said on Sunday. “By boosting regional airport investment by up to $100 million, we are making sure regional people and their communities get the infrastructure and services they deserve for business, leisure, health and education needs,” McCormack said in a statement. “We want more people – especially families and small businesses – moving to and staying in the regions, and better connectivity through airports is a vital part of that plan. Australian Airports Association (AAA) chief executive Caroline Wilkie said the funding would help support a sustainable regional aviation network for years to come. “We welcome this commitment to keeping our regions strong and ensuring communities can continue to rely on their airports to connect to loved ones and access essential services and trade,” Wilkie said in a statement. The AAA’s Regional Airport Infrastructure Study, published in 2016, found regional airports faced a significant funding shortfall in the years ahead to maintain existing facilities and upgrade their airfields to cope with the expected growth in the sector. The study, conducted by ACIL Allen Consulting, estimated regional airports with fewer than 500,000 passengers movements a year spent $185 million in 2014/15 to maintain and improve operations. However, expenditures for regional airports were expected to rise by 38 per cent over the next decade, putting even more pressure on already stretched budgets, with 61 per cent of the nation’s regional airports running budget deficits in 2014/15. Further, some 40 per cent of regional airports expected to have persistent budget deficits over the next 10 years. Wilkie said the federal government’s $100 million pledge would start to address the expected funding shortfall and “assist this essential infrastructure to continue servicing communities into the future”. “This will help keep regional airports safe and compliant, and save some from risk of closure,” Wilkie said. The AAA, along with the Australian Local Government Association (AGLA), Australian Logistics Council, Regional Aviation Association of Australia (RAAA) and Royal Flying Doctor Service (RFDS) launched a “Protect Regional Airports” campaign in late 2017 to lobby for an increase in funding for regional airports. Specifically, the campaign called for the federal government’s Regional Aviation Access Programme (RAAP) to be extended, as well as the establishment of a new program to broaden the number of remote and regional airstrips eligible for government support. 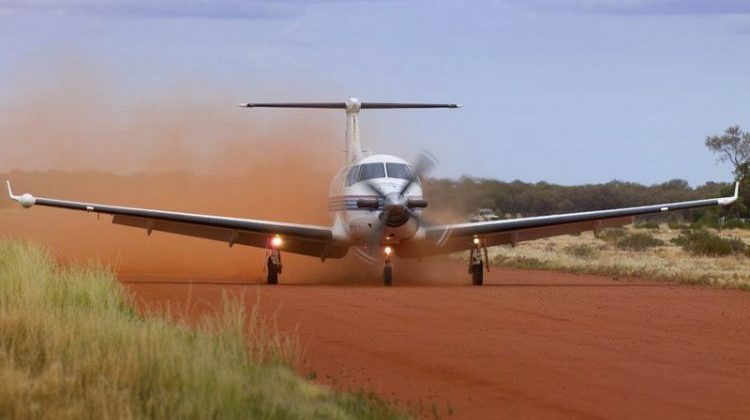 Currently, RAAP offers funding for upgrades to remote aerodromes (the Remote Access Upgrade Program, or RAU), inspection and related services at aerodromes in remote indigenous communities (Remote Aerodrome Inspections, or RAI), and subsidised flights to remote communities (the Remote Air Services Subsidy Scheme, or RASS). The 2018/19 federal budget handed down in May 2018 allocated $28.9 million over the next four financial years to continue the Remote Airstrip Upgrade program, which provides grants to regional airports for safety and access upgrades. The funding was for a further three rounds of the program comprised $4.3 million in 2018/19, $9 million in 2019/20, $9.1 million in 2020/21 and $5.9 million in 2021/22, the budget papers said. The federal government is scheduled to release 2019/20 federal budget at 1930 on Tuesday, April 2 2019. Ironic that it should be announced two months out from an election. Buying votes in the bush perhaps? $100 million pledge will not buy much, see below to put it in perspective. The $10.9 billion Melbourne Metro contract includes the excavation and fitout of twin nine-kilometre tunnels and five new stations at Arden, Parkville, CBD North, CBD South and Domain. Also announced a $124 million contract to supply 92,200 tonnes of steel for the West Gate Tunnel Project has been awarded to Liberty.The state will contribute $2.6 billion to the second river crossing.